Since its inception in July 1944, the International Monetary Fund (IMF) has undergone considerable change as chief steward of the world’s monetary system. Officially charged with managing the global regime of exchange rates and international payments that allows nations to do business with one another, the fund recast itself in a broader, more active role following the 1973 collapse of fixed exchange rates, intervening in developing countries from Asia to Latin America. In 2010, it gained renewed relevance as the European sovereign debt crisis unfolded. The fund has received both criticism and credit for its efforts to promote financial stability. Some economists claim that it is in the midst of a major transformation, citing its vast expansion of lending capacity, governance reform, and the move away from free market fundamentalism. However, others suggest that the IMF must go further in implementing changes that will improve the plight of the world’s poor and guarantee the fund’s relevance in a changing global economy. Forty-four allied nations convened at the Bretton Woods Conference in 1944 to establish a postwar financial order that would facilitate economic cooperation and prevent a rehash of the currency warfare that helped usher in the Great Depression. The new regime was intended to foster sustainable economic growth, promote higher standards of living, and reduce poverty. The historic accord founded the twin institutions of the World Bank and the IMF and required signatory countries to peg their currencies to the U.S. dollar. However, the system of fixed exchange rates broke down in the late 1960s and early 1970s due to an overvaluation of the U.S. dollar and President Richard Nixon’s decision to suspend the greenback’s convertibility into gold. Unlike the World Bank, which was designed as a lending institution focused on longer-term development and social projects, the IMF was conceived as a watchdog of the monetary and exchange rate policies vital to global markets. The IMF was conceived as a watchdog of the monetary and exchange rate policies vital to global markets. Surveillance. A formal system of review monitors the financial and economic policies of member countries and offers macroeconomic and financial policy advice. Technical assistance. Practical support and training directed mainly at low- and middle-income countries help manage their economies. Lending. The fund gives loans to member countries that are struggling to meet their international obligations. Loans, or bailouts, are provided in return for implementing specific IMF conditions designed to put government finances on a sustainable footing and restore growth. Known as “structural adjustment,” these policies have included balancing the budget, removing state subsidies, privatizing state enterprises, liberalizing trade and currency policy, and removing barriers to foreign investment and capital flows. Since 2011, the IMF has been led by Managing Director Christine Lagarde, a French politician and the first woman selected for the role. 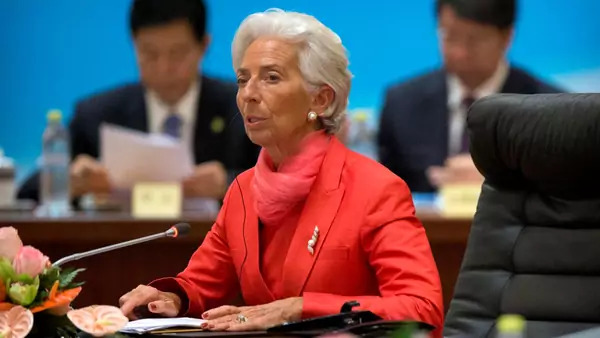 The IMF has been called the world’s “financial crisis firefighter,” relied on by member countries to deal with crippling sovereign debt and prevent contagion from spreading through the global financial system. A member country—there are 189 members as of 2018—typically summons the IMF when it can no longer finance imports or service its debt to creditors, a sign of potential crisis. The fund will extend the government a loan and help organize a new debt-repayment schedule that the country can manage. In exchange, the member agrees to implement IMF reforms designed to rectify its balance of payments and restore foreign exchange reserves in its central bank. The lending conditions are designed not only to guarantee the repayment of loans but also to ensure the money borrowed will be spent in line with the stated economic objectives. The IMF cannot force its will on member countries; countries accept the fund’s conditioned financial assistance on a voluntary basis. Historically, much of the fund’s work has been done in developing countries, including interventions in Argentina, Brazil, Indonesia, and Mexico. However, the 2008 global financial crisis and subsequent European debt crisis required major bailouts in advanced eurozone economies, such as Greece, Iceland, Ireland, and Portugal, for the first time. The European sovereign debt crisis, which began in 2010, represented a stark shift in the IMF’s central focus. “The IMF’s main programs are now in Europe, which is a major reversal,” CFR’s Sebastian Mallaby said at the time. Instead of providing loans to emerging markets on the periphery of the global economy, the IMF was concerned with unsustainable debt loads in developed countries. This shift was epitomized by the IMF’s intervention in Greece, where the fund, the European Commission, and the European Central Bank (ECB)—together called the troika—pledged $375 billion in three separate bailouts over eight years. Two aspects of the Greek intervention signaled a more assertive IMF. First, the Greek bailout [PDF] marked the first time the IMF lent to a eurozone country since the common currency was created in 2002. Second, the size of the assistance package relative to Greece’s IMF membership contribution—usually limited to 600 percent—was extraordinary: at 3,200 percent, it is the largest such package granted to a member country. The contrast with the other struggling eurozone economies is illustrative. During the same period, the IMF agreed to loan [PDF] Portugal some $30 billion and Ireland roughly $25 billion. The IMF has drawn vocal criticism over the years. In his 2002 book, Globalization and Its Discontents, Nobel Prize–winning economist Joseph Stiglitz denounced the fund as a primary culprit in the failed development policies implemented in some of the world’s poorest countries. He argues that many of the economic reforms the IMF required as conditions for its lending—fiscal austerity, high interest rates, trade liberalization, privatization, and open capital markets—have often been counterproductive for target economies and devastating for local populations. The fund has also been criticized on the basis of overreach or “mission creep.” William Easterly makes this case in his 2006 account of the failures of Western aid to the undeveloped world, The White Man’s Burden. While he acknowledges some IMF successes in firefighting financial crises in Mexico and East Asian countries in the mid-1990s, he criticizes many of the fund’s interventions in severely impoverished countries, particularly in Africa and Latin America, as overly ambitious and intrusive. In addition, he describes many of the fund’s loan conditions and technical advice as out of touch with ground-level realities. In recent years, the IMF’s work in more advanced economies has drawn ire as well. In recent years, the IMF’s work in more advanced economies has drawn ire as well. Greece has been the most high-profile example, as troika-imposed austerity measures deepened the country’s economic contraction. In July 2015, popular discontent led to a “no” vote in a referendum on whether to accept the IMF’s loan conditions, which included raising taxes, lowering pensions and other spending, and privatizing industries. The government subsequently ignored the results and accepted the loans. However, the Greek case also saw the IMF soften its stance on austerity, at least compared with the European Commission and ECB. In 2016, senior IMF economists argued that more austerity would be counterproductive, and in 2018 the fund raised the alarm about the unsustainability of Greece’s debt burden, putting it at odds with the rest of the troika. Some economists characterize the fund’s performance in the Asian financial crisis of 1997–98 as a success. They argue that the economic reforms championed by the IMF allowed the countries involved to recover quickly and laid the foundation for sustained growth during the 2000s. Others point to the fund’s role in Brazil in 2002 as positive: an early recovery there after intervention allowed IMF loans to be repaid ahead of schedule. Meanwhile, for many observers, the verdict on the European bailout programs is still out. Critics point to the deep recessions and years of high unemployment in IMF loan recipient countries—most notably Greece and Spain, which have the highest youth unemployment rates in the European Union, at well over 30 percent. Greece’s economy is still 25 percent smaller than it was before the crisis, and its debt load is nearly 180 percent of gross domestic product (GDP). Supporters of the IMF programs counter that the target eurozone countries have all started to grow again and point to major success stories, such as Ireland, which has seen its GDP rise well above pre-crisis levels. Since the European bailouts, the IMF has added to its firefighting arsenal. It has established a flexible credit line and a precautionary and liquidity line to give it more flexibility in lending to members in situations that might not otherwise qualify for assistance. In 2012, the fund announced roughly $430 billion in new member commitments, nearly doubling the institution’s capacity to lend. As of April 2018, its total lending power stands at roughly $1 trillion. The IMF cannot maintain its legitimacy unless it allows candidates from the world’s most dynamic economies a fair shot at the top job. However, critics have pressed for more fundamental reforms to IMF conditionality, which some aid organizations have likened to “negotiating at the barrel of a gun.” The IMF’s next review of conditionality is currently ongoing and is set to be completed by the end of 2018. Meanwhile, some indebted nations are turning instead to other governments for assistance. In 2018, for example, Pakistan solicited Chinese, Saudi, and Emirati loans to replenish its foreign exchange reserves, before negotiating with the IMF. Reforming the fund’s governance is also an area of contention. For decades, a long-standing “gentlemen’s agreement” between Europe and the United States has guaranteed the helm of the IMF to a European and that of the World Bank to an American. The situation leaves little recourse for ascendant emerging economies that, despite modest changes in 2015, do not have as large an IMF voting share as the United States and Europe. In February 2016, Lagarde was appointed to a second five-year term as managing director, the eleventh consecutive European, and the fifth from France, to hold the post. “The IMF cannot maintain its legitimacy unless it allows candidates from the world’s most dynamic economies a fair shot at the top job,” wrote Mallaby in 2011. This IMF fact sheet explains how the fund responded to the global economic crisis. This May 2018 report from the nonpartisan Congressional Research Service examines the IMF’s purpose, membership, and financing [PDF] and discusses Congress’s role in U.S. policy toward the fund. This CFR backgrounder profiles the World Bank, the IMF’s sister organization.